Dr. DeFoore's Healing Anger Newsletter entitled "Choose And Choose Again"
Hi, learn how your choices can lead to greater anger control. New web pages. 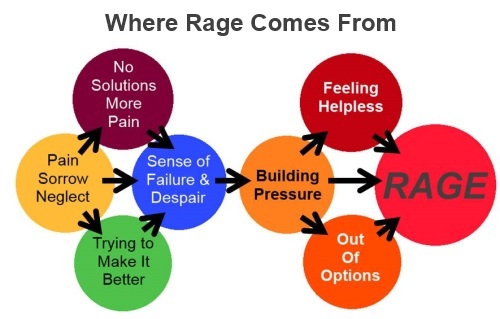 Learn about Silent Rage And What To Do About It. Also stories contributed by good people wanting to make things better, such as We Lost Our Baby And I Hate Myself For Loving Him, and a powerful story by an 11 year old child, called, Please Help Me I'm Just A Kid. 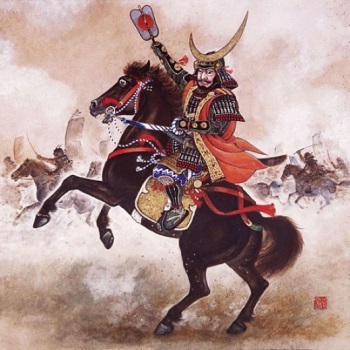 There is a wonderful story of a Samurai warrior, that illustrates the power of making choices. The proud and hot-tempered young warrior had killed many men, ruthlessly cutting down anyone who gave offense. One day, while cleaning his sword, the Samurai began to worry that the gods might disapprove of his actions, and send him to a hellish realm. He was also one who liked to understand about matters like eternity and life after death, and so he sought out the counsel of a well known Zen master. As was the custom, he removed his razor-sharp sword and laid it beside him while sitting before the older man. His request of the master was, "Please tell me of heaven and hell." The Zen master smiled at the warrior. Then he began to laugh. Then he was laughing uproariously, pointing at the proud and violent young man, saying, "You ignorant bumpkin! You presume to ask me, a wise master, about heaven and hell? Do not waste my time, idiot! You are too stupid to possibly comprehend such things!" The warrior was furious. He would have killed anyone else for speaking to him in such a manner. He fought to restrain his rage. The teacher was not through. He went on to insult the young man's ancestors and fellow Samurai warriors, ridiculing him and everything he stood for. This was too much for the trained fighter. Enraged, he pulled his sword from its sheath, and in one swift and fluid motion, stood and towered over the sitting master, ready to end his life in one blow of the razor sharp blade. At that point, the Zen master sat calmly and pointed at the warrior, saying, "There. There open the gates of hell." The warrior froze, his sword still in mid air. And then he melted...he fell to his knees, bowed his head and said, "Thank you master. My gratitude knows no bounds for this brave lesson you have taught me. Thank you, thank you." The master smiled and pointed to him once again saying, "There open the gates of heaven." This story was adapted from Millman, Dan (2009-10-13). The Journeys of Socrates (p. 229). HarperCollins. Kindle Edition. The message is clear. We create a version of heaven and hell here on earth, by how we respond to life. In the turmoil and inner chaos of rage and uncontrolled anger, we are ruled by forces that cause us to do great harm. The warrior chose to seek counsel, rather than to just go on killing. And although it may have been subconscious, he chose to receive the teaching of the Zen master. And, as the story demonstrates, a posture of gratitude--which can also be seen as a state of grace--will take us to a place of peace and serenity, which the story refers to as "the gates of heaven." This is tricky...you would never have chosen to have anger problems, but many of you do. Notice in the diagram above the bubbles that say, "Out of options" and "Feeling of helplessness." You can see that they come right before rage. If you feel free to choose, and if you can have the clarity of mind to think of your options, you will not escalate to uncontrolled anger and rage. Choose to remember your good heart, your good intentions, and how much you care. Choose to hold other people in the highest possible regard, by focusing on their most positive aspects. Choose to hold yourself in the highest possible regard, by focusing on your own most positive aspects. Choose to begin each day imagining who and how you want to be throughout the day. Choose to see every pain, problem and difficulty as an opportunity for you to grow stronger and wiser. Choose to believe that your life is a great blessing, and that it's up to you to claim that blessing by focusing on what you're grateful for, what you appreciate, and what you look forward to. This is the key to getting out of the victim position, which is one of the main causes of unhealthy anger. Take charge, identify what matters most to you, and make choices every day to live by your values. The research is clear...gratitude, appreciation and optimism are good for your body, mind and emotions. Take advantage of this opportunity to retrain your brain to work for you instead of against you.